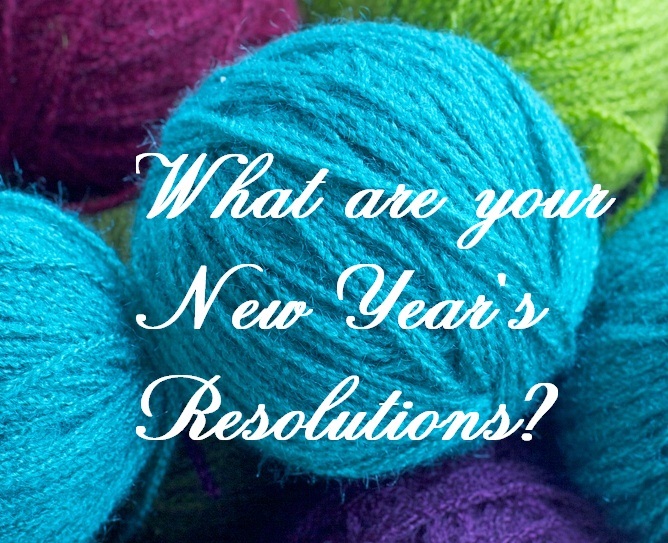 I just read my knitty galpal’s blog, Susie, aka KnittingKnoobie, about New Year’s Resolutions and, boy, do we have a LOT in common! I had two projects on my list a year ago…I only half finished my Norwegian Selbu Mittens. They always seemed to small but I found out that I love colorwork! .I’ve pulled theses mittens out to work on over the holiday break but alas! that was as fas it went. I also have a very minimally completed Beatnik sweater…did I not like the yarn or is it too warm in Atlanta? So…with these projects still in the works, I am going to make a few knitty resolutions of my own for 2012. First, I am really going to try to stashbust!I have enough yarn to last me for a while so I certainly don’t need to buy too much yarn this year! When we get home, I’m going to design a counter of some sort…naughty vs. nice so to speak. I’ll put in on the sidebar of my blog… something like, I delved into my stash (nice) – yarn browsing got the better of me (naughty)! Next, I’m going to try to complete some lingering UFOs…those mittens, a sweater and a few pairs of socks are still on my needles. I’d like to knit some more shawls and wraps this year. Sometimes, lace is difficult to knit because it requires so much attention and I revert to mindless (although enjoyable) knitting. Time to step it up a bit. Lastly, I’d like to design some socks…and mittens…and shawls…and…well, you get the idea! Lots of ideas…not always lots of time! What are your New Year’s Resolutions? Share here!